Item description: Rolex Anchor for sale. 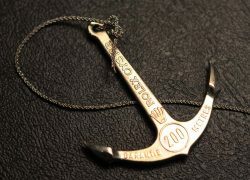 Rolex Oyster nickle-silver metal 200 m / 660 ft ‘deep-font’ anchor, dating from early 1960s. 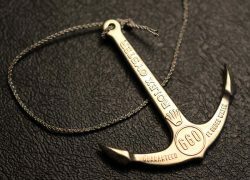 The anchor complete with original three strand dulled silver wire cord. Special notes: Suitable for 5512, 5513 models etc. The so-called ‘deep-font’ anchor is particularly rare.